The 2016 PokerStars and Monte-Carlo® Casino EPT Grand Final €100,000 Super High Roller final table started with eight players, all in the money after Mike McDonald bubbled the event the night before. Guaranteed €236,750, they were all eying the €1,775,500 first-place prize. Paul Newey started out with 250,000, the original amount of the starting stack that become just five big blinds. He doubled the first two hands and was right back in it, however, leaving the role of short stack to Ivan Luca. The Argentinian pro, known online under the moniker "Negriin", would eventually be the first to go. He found jacks and no way of escaping against Mustapha Kanit's queens. The two got it in before the flop and the board improved neither. Next in line at the payout desk would be Sam Greenwood. He slowplayed kings and ended up hurt against Kanit's rivered straight with the good ol' nine-deuce. "I played this hand really stupidly," said Greenwood, before paying his neighbor off. Not much later, down to just four big blinds, he pushed with seven-five suited, only to get called by Kanit with the dominating . Again, no help for the dominated, and the tournament was down another player. With seven remaining, Kanit made the laydown of the tournament. Schemion raised holding kings and was three-bet by Kurganov who had king-queen. Kanit then four-bet with queens, but he folded to Schemion's shove after Kurganov laid down his hand as well. Schemion won some, not as much as he could have, but did show down a nice hand not much later. He called down Ali Reza Fatehi with just ace-high in a sizable pot and was right, Fatehi tabled his missed flush draw with king-four. Stephen Chidwick, who had made a nice laydown against Fatehi earlier, was left extremely short when he pushed jack-ten into Paul Newey's kings. Newey finished the job not much later, besting Chidwick's ace-three with ace-king. Kanit doubled after a bluff by Fatehi failed, but it was Newey who would be the next to go. He got it in good with his set of eights against Schemion's flush draw, but the German wunderkind would get lucky hitting his flush on the turn. The board didn't pair on the river and Newey had to settle for fifth, worth €485,300. Igor Kurganov, who had made the final table in this very event the past two years, departed in fourth place (€627,300). First a limp-push failed against Fatehi, and finally, his short stack went to Kanit after his queen-ten didn't improve against ace-queen. It didn't take long before the tournament would be down to just two players, and it was businessman Ali Reza Fatehi hitting the rail in third place. He had proved unafraid of the big names and didn't hold back at all in big pots with big bluffs, but eventually he came up short in a hand against Schemion. He got it in with fives against ace-ten and Schemion hit a ten to get the tournament to heads-up play. Schemion and Kanit agreed on a deal right away. At first they didn't want to leave anything in the middle and just chop it all together without playing on, but were forced by the tournament officials to leave €50,000, the title, and trophy to play for. They agreed and played their hearts out to give the live stream viewers something to stay at home for on a Saturday night. The levels were brought back to 20 minutes in length, kickstarting the fireworks. The two started out with Schemion holding a slight lead, and he also took the first big pot. He called down a bluff leading Kanit with just ace-high and diminished the Italian's stack to just 20 big blinds. When Kanit found sevens after the level had just gone up, there was no way of avoiding the chips going to the middle. Schemion was waiting with queens and made one of the quicker calls in the history of the game. Schemion flopped top set, but Kanit picked up a flush draw on the turn to keep things interesting until the final river card. The seven on the river gave Kanit a set of his own, but it wasn't enough. The amicable Italian, who has already won €10,000, €25,000, and €50,000 high roller events on the European Poker Tour, would have to wait to complete his high roller superfecta. It was Ole Schemion holding the trophy at the end of the day. 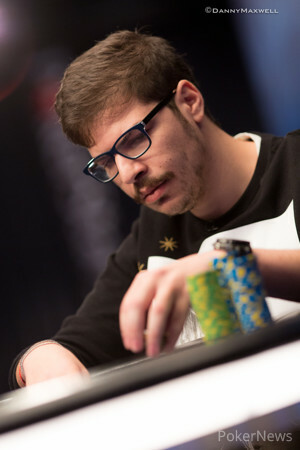 After a break from the live circuit, Schemion celebrated his return with a cash in the €10,000 High Roller and a win in the €100,000 Super High Roller for almost €1.6 million. Welcome back, Mr. Schemion! 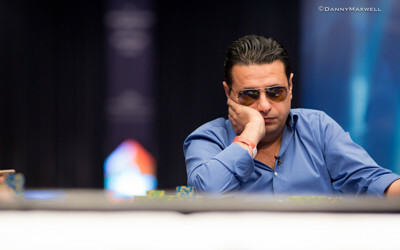 Mustapha Kanit gave Ole Schemion a walk before the 93rd and the final hand of the final table played out. Ole Schemion raised to 350,000 with the and Mustapha Kanit moved all in with the . Schemion snap-called and after a flop, Kanit was all but dead with Schemion finding a third queen. The turn did give Kanit some hope, but the set-making river was too little too late for him. 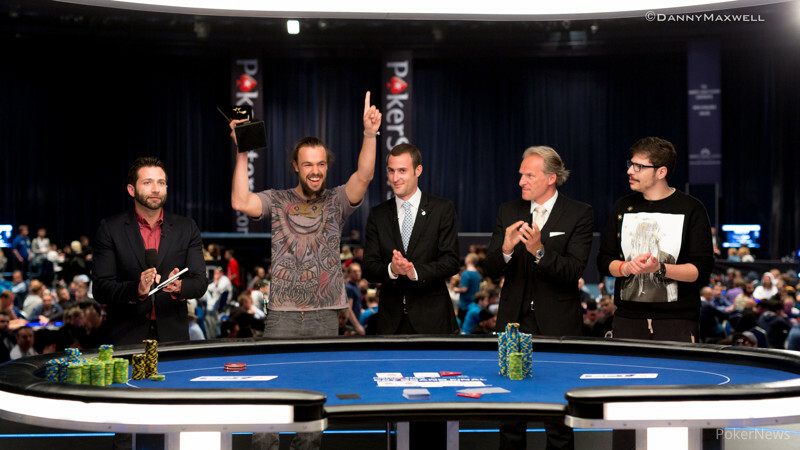 Schemion won the pot, the 2016 PokerStars and Monte-Carlo® Casino EPT Grand Final €100,000 Super High Roller and Kanit was forced to settle for second place. for Kanit on the button and he made it 275,000. Schemion folded his . for Schemion and he limped in. Kanit checked . The flop came and Kanit checked. Schemion bet 120,000. Kanit called. The paired the board and Kanit checked again. Schemion bet 340,000 into 520,000. Kanit folded. Kanit limped in with and Schemion bumped it up to 320,000 holding . Kanit folded. We missed this hand because of a small interview with Igor Kurganov on the stream. Kanit on the button with limped in. Schemion pushed allin with and Kanit folded. for Schemion and he limped in. Kanit had and checked. The flop came and Kanit check called a bet of 125,000 from Schemion. The on the turn was anything but a blank and Kanit checked again. Schemion checked behind. The on the river made for "3 pair" for Kanit and he bet 380,000 into the 530,000 pot. Schemion called instantly and Kanit took it down. Ole Schemion called with the and Mustapha Kanit checked the . Kanit led the flop and Schemion called. Kanit checked the turn and Schemion checked behind. The river saw Kanit check again and Schemion bet 270,000. Kanit called and won the pot. Mustapha Kanit made it 275,000 with the and Ole Schemion called with the . After Schemion checked the flop, Kanit bet 250,000. Schemion called and checked the turn. Kanit checked behind and both players checked the river with Schemion winning the pot. 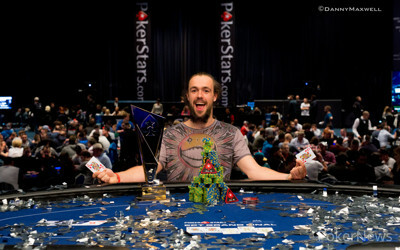 Ole Schemion made it 325,000 with the and Mustapha Kanit called with the . The flop came and Kanit led for 350,000. Schemion called and the turn came the . Kanit bet again, making it 875,000. Schemion called and Kanit fired out 1,950,000 on the river. Schemion did not fold right away, thinking it over, before eventually making the call with ace-high. It was good and he took a stranglehold on the match. Because of technical difficulties in the EPT Media Room, several hands were missed. We continue our coverage without hand numbers. Kanit made it 250,000 holding . Schemion called with the and the flop came . Both players checked and the fell on the turn. Schemion bet 300,000 and that was enough to take it down. Schemion limped in for 100,000 with . Kanit bumped it up to 375,000 holding . Schemion called and the flop came and Kanit's 325,000 bet was enough to take it down. Kanit limped in with . Schemion checked . and Schemion check called a bet of 150,000. The on the turn gave Schemion a straight and he checked. Kanit checked behind. The completed the board and Schemion bet 390,000 into the 520,000 pot. Kanit folded instantly. Kanit picked up the pot by raising his from the button. Schemion folded. Play resumes with 13 minutes left in Level 21. From here on out the levels will be only 20 minutes in length after both players agreed on reducing the level length. Ole Schemion and Mustapha Kanit have struck a deal giving Schemion €1,547,800, Kanit €1,462,000, and leaving €50,000 and the trophy to play for. Hand #72: Ole Schemion made it 240,000 with the and Ali Reza Fatehi moved in for over three million with the . Schemion tanked and called, and the board rolled out , taking the start-of-day chip leader out third. 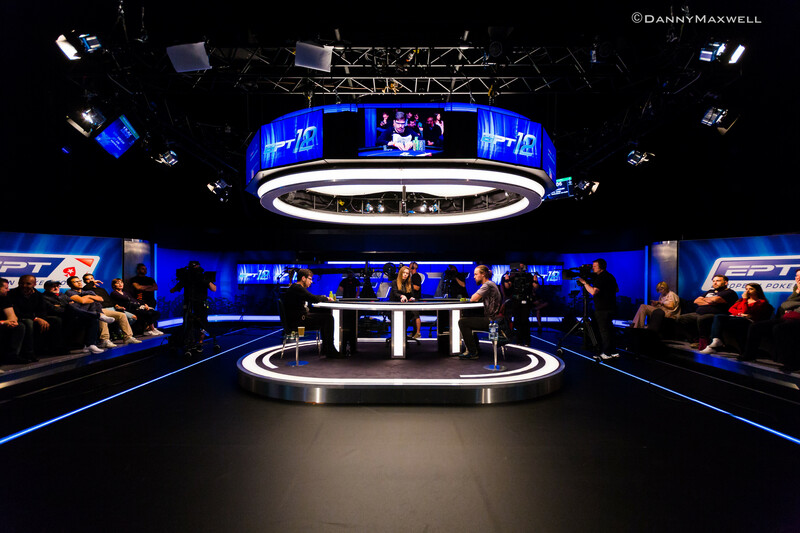 The players are taking a short break before heads-up play begins.